This class will be a fun and educational. you will be doing a block each month and you will learn the story about the block and how it was used in the underground history. No machine required. Come join the fun! 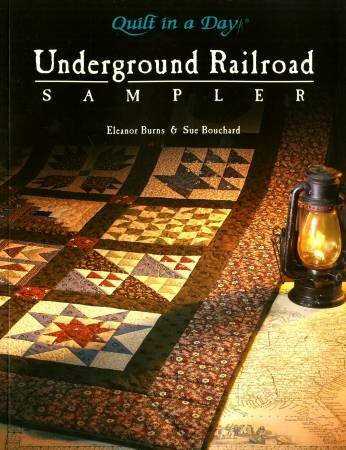 "Quilt in a Day" Underground Railroad Sampler. by Eleanor Burns & Sue Bouchard Which can be purchased through The Sew'n Place. Just the price of the class.